Convenience at it's finest. We have everything you need, all under one roof. All our wedding packages include a complimentary one-night stay in a beautifully appointed Bridal Suite on your wedding night plus breakfast for the newlyweds the following morning. Hotel accommodations offered at a special rate for wedding guests. 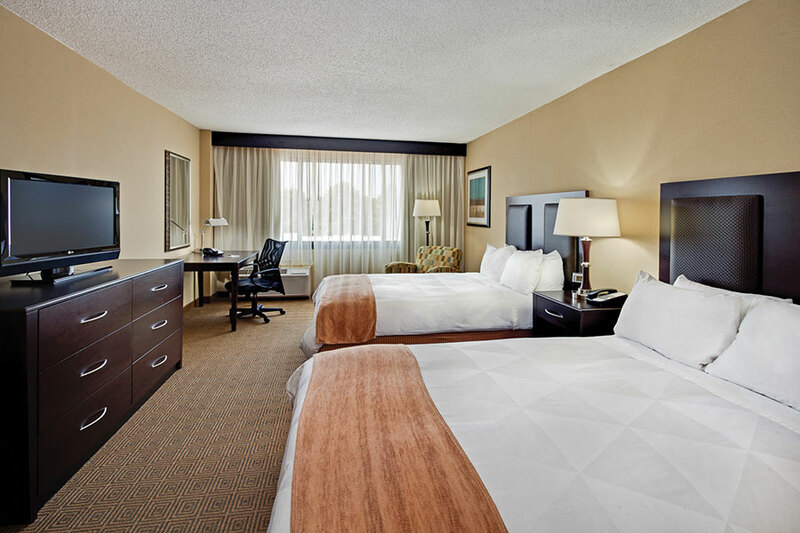 Find two full Sleep Number® beds and all standard amenities in these rooms. 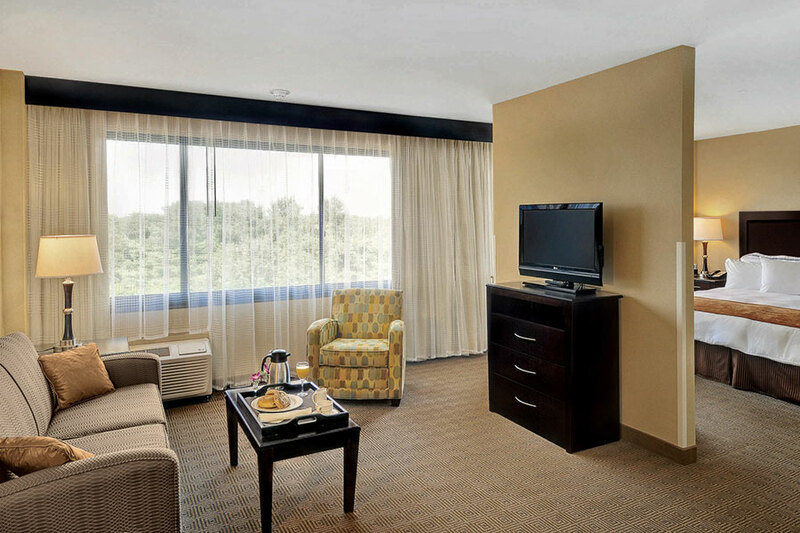 This Bridal Suite features a master bedroom with one king Sleep Number® bed, a soft chair with an ottoman and a 32-inch, flat-panel LCD TV. In the living room, you’ll find a full-size sofa bed, a bar area with a granite countertop and a 32-inch, flat-panel LCD TV. The large master bathroom also includes a luxurious rain showerhead with four jet-spray heads.